Sweet potatoes have been such a favorite root vegetable in Asian countries that we often use them in all kinds of sautés, soups, congees, desserts, and even drinks! Yes, that is right, in drinks. Sweet potato puree is a popular topping for milk teas. Next time when you are in an Asian teashop, try it. It is way better than you can imagine. Fire oven roasted sweet potatoes are very hard to find in America. So I bake them in small toaster oven. 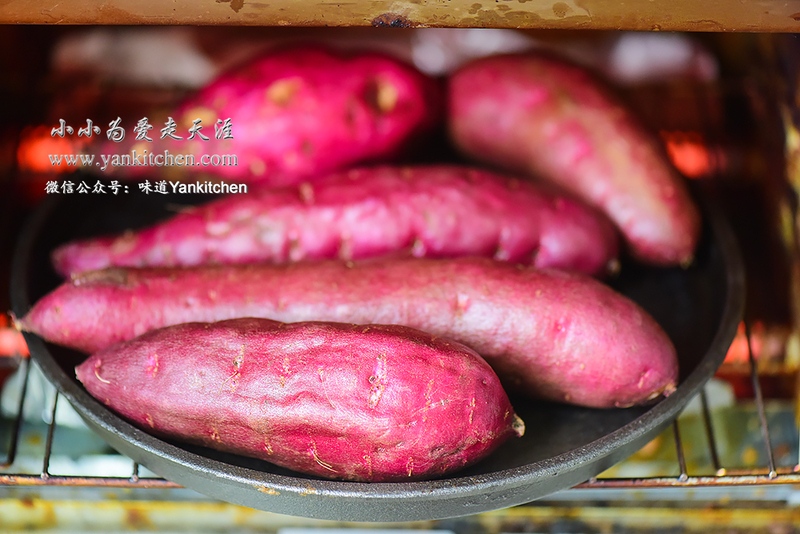 The best ones for toaster oven I can find are Japanese sweet potatoes and purple sweet potatoes with red skins. The Japanese sweet potatoes are sold in most Asian grocery stores. But the purple sweet potatoes are not that common. If you are in Houston area like me, try Sprouts, Central Market and Wholefoods market. Rinse both sweet potatoes under running water. Pat dry with kitchen paper towel. Add sweet potatoes to the oven. Bake for about 90 minutes. The baking time may vary depending on the toaster ovens and the sizes of sweet potatoes. There is sweet and warming aroma in the house when sweet potatoes are being baked. 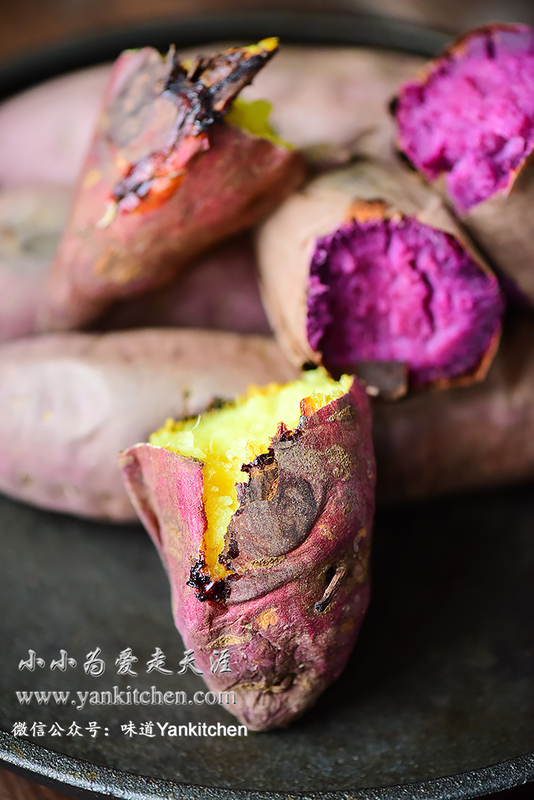 Purple sweet potatoes are a little bit drier than Japanese sweet potatoes. But they are both quite sweet and tasty.